Faced with greater workloads and finding it increasingly difficult to recruit new physicians, neurologists have turned to an alternative solution – hiring physician assistants (PAs), and nurse practitioners (NPs). The percentage of practices employing PAs and NPs is rapidly increasing. The American Academy of Neurology 2000 Practice Profile survey revealed a surprising 28 percent of respondents use what is referred to as physician extenders – PAs and NPs – up from 21.8 percent in 1998. What benefits can a PA or NP bring to your practice? In addition to direct patient care, these practitioners can assume responsibility for tasks that are time-consuming for the neurologist and not reimbursable, such as responding to telephone calls, reviewing prescription refill requests, and providing patient education. Delegating these activities allows neurologists to focus on direct patient care and serves as a cost-effective strategy for many neurologists struggling with decreased reimbursements and tighter budgets. PAs and NPs also often spend time addressing the special needs of neurological patients in a way that neurologists no longer have time for. 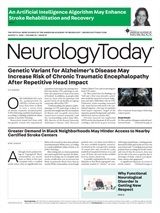 Neurology Today interviewed several AAN member neurologists, PAs, and NPs, and found a variety of innovative ways in which they are being integrated into clinical and academic settings. Although the training and licensing requirements vary, PAs and NPs generally bring a broad level of medical experience and at times a remarkable educational background to neurology practices. Howell I. Runion, PhD, an AAN member, has a doctorate in electrophysiology and trained in neurology for one year at Queen's Square Hospital before completing a PA program at Stanford University. Dr. Runion has been caring for general neurology patients for the past 23 years as well as doing basic science and clinical research at an electrophysiology lab in The School of Pharmacy of the University of the Pacific. Freddi Segal-Gidan, PhD, another AAN member and a practicing PA for 22 years, completed a fellowship in geriatric medicine (the first for a PA in the country) and then was inspired to return to school to obtain a doctorate in gerontology-public policy in 1997. In her current positions, she performs a combination of direct patient care, research, and administrative functions. Dr. Segal-Gidan explains that “the patients with more family issues or chronic medical problems at the Alzheimer Research Center are steered” to her. Helena C. Chui, MD, her neurologist colleague, generally sees the patients who have multiple neurological problems. They have worked together for 13 years and, after this length of time, can communicate about patients very efficiently. The NP clinical coordinator at the center further complements their work by facilitating the initial contacts, triaging patients, and performing home visits. Dr. Segal-Gidan also functions in a supervisory role at the Rancho Los Amigos National Rehabilitation Center at the University of Southern California. Since she began to work there in 1989, she has hired eight more PAs for the hospital. The center's in-patient units provide a good example of a coordinated model of care; the four neuro-medicine units each have an MD-PA team. What are some of the economic issues to consider when hiring a PA or NP? Third-party payer reimbursement regulations for PA and NP services vary substantially in terms of state laws. Prior to considering recruitment, it is important to understand both the clinical and legal limitations of this decision. Medicare allows two means for billing for the services of an NP or PA: direct billing and “incident to” billing. Direct billing covers 85 percent of the physician payment and bills under the NP or PA's Medicare provider number. Medicare also allows the NP or PA to bill for services in the physician's name for the full physician fee, called “incident to” billing. The regulations for “incident to” billing are strict and somewhat confusing, however. In order to ensure compliance and avoid fraud violations, it is important that they be well understood. Billing can only apply to follow-up services; physicians must personally treat patients on their first visit or with subsequent new problems. Other payers typically follow guidelines mandated by the state insurance commissioner and often take the form of expanded “incident to” rules. Some managed care plans and commercial payers have restrictions about which services are covered or policies about directly contracting with PAs or NPs. Neurologists should contact insurance companies in advance to examine their regulations so that there are no surprises after the PA or NP has been hired. What are the costs to consider? PA and NP salaries vary according to geographic location and years in practice. The mean incomes for PAs was $71,046, according to the 2001 American Academy of Physician Assistants Census Report (AAPA); and NP annual salaries averaged $63,172, according to The 2001 National Salary Survey of Nurse Practitioners. In addition to salaries, compensation may include on-call pay, overtime pay, and productivity bonuses. Furthermore, the employer usually pays for professional liability insurance, state license and credentialing fees, continuing medical education courses, and professional society dues. As an estimate, it generally takes six months to break even on an investment in a NP or PA. In order to evaluate whether this is a cost-effective option for a practice, these expenses and others need to be considered in view of potential charges that can be generated and additional time freed for neurologists to expand their services. And there are other situations in which economics take a back seat as well. At times, PAs and NPs are hired to improve the quality of life of busy, overworked neurologists. The AAPA Census Report revealed that 34 percent of PAs (more than one third of respondents) took call for their primary employer and in some neurology practices. For example, PAs are always available to run the t-PA (tissue plasminogen activator) protocols and treat other emergencies. Many PAs and NPs also can improve patient satisfaction by spending time counseling patients and handling their unique neurological needs. John R. Belden, MD, is one of eight neurologists in a group practice in Scarborough, ME, which uses three NPs. He added, “she is very much liked by patients and has shown a particular interest in Tourette syndrome.” Dr. Jankovic acknowledged that these patients and their families require additional attention for their special issues that he, alone, is unable to provide. In addition to her clinical work, Ms. Kwak has designed clinical studies. She is currently involved in a study that is examining whether Tourette syndrome patients are handled differently by the legal system. As a student, she took part in the first open-label study on the use of botulinum toxin in Tourette syndrome; she has participated in numerous studies since then and is also currently serving as clinical coordinator for three Parkinson studies. Claire Cleaver, MSN, an NP, is also involved in research trials. Currently, she is coordinating 18 different multiple sclerosis (MS) clinical research trials at the Mellen Center of the Cleveland Clinic, where between 2,000 and 3,000 MS patients are seen every month. She also serves in a clinical role once a week there seeing patients with Richard Rudick, MD, a neurologist who is the Director of Research at the Cleveland Clinic. Although she does not see new patients, Ms. Cleaver sees follow-up patients and prescribes medications. Ohio was, in fact, the last US state to give prescribing authority to NPs. (Indiana and Louisiana are the only states that do not permit PAs to prescribe medications.) The Mellen Center also employs several advance practice nurses who perform procedures including lumbar punctures and refills of intrathecal Baclofen pumps. There does appear to be some variability in response to the use of PAs in the medical community. Geographic environment and perhaps managed care penetration play a significant role in their use by practices. According to the 2001 AAPA Census, nearly 40 percent of PA respondents were employed in New York, California, Texas, North Carolina, Pennsylvania, and Florida. Because most neurologists agree that they offer a unique expertise performing consultations, many are apprehensive about how referring physicians would react to a PA or NP in their practice. Dr. Powers voiced this concern as well. Cultural acceptance in the medical community is likely to rise as more PAs and NPs with specialized neurological training enter the market and busy neurologists pressed for time look for ways to enhance the quality of care their practices provide.